A reporter turns to film to capture the story of tuberculosis. Year-round fresh air and sunlight were seen as curative in the early 1900s. 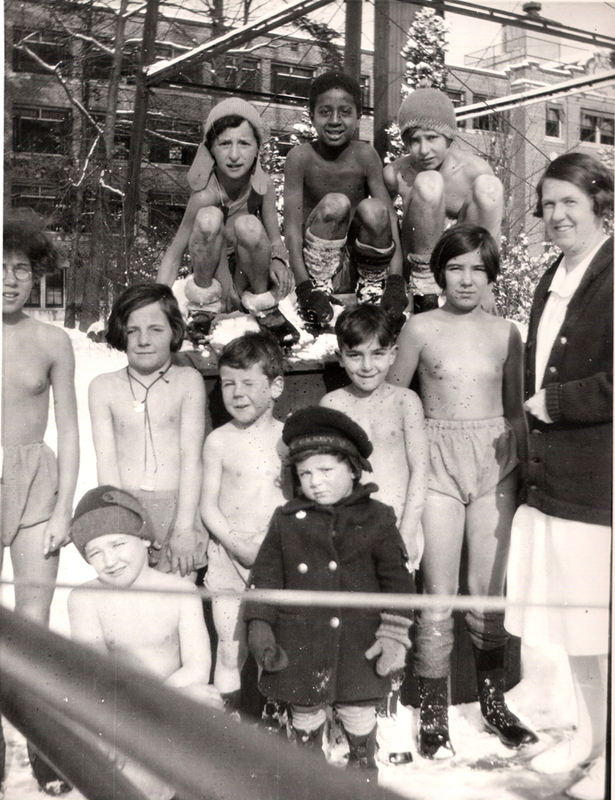 Children at tuberculosis sanatoriums, including Wallum Lake (shown here), were sent outside barely clothed, even in winter. View clips from "On the Lake." 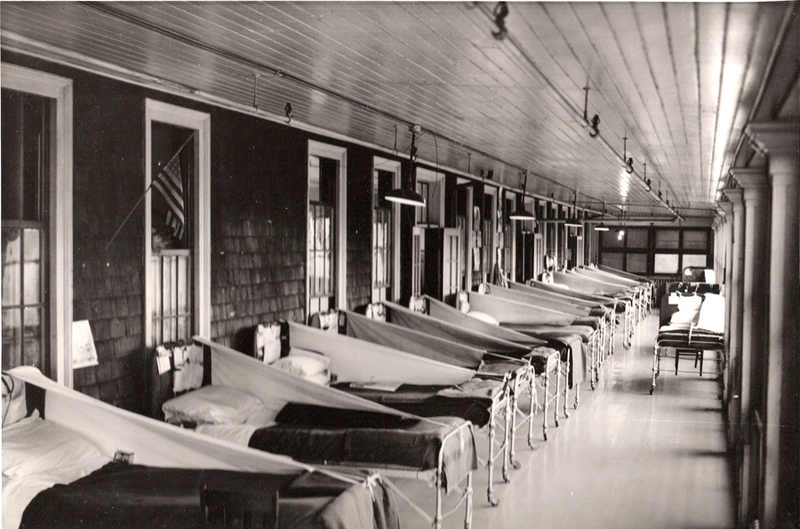 It was a time when entire hospitals dedicated themselves to the treatment of tuberculosis, and when Americans would disappear to those hospitals for years on end. Everyone knew someone who had TB. The disease had no cure, and even the mode of transmission was not well understood. But that era is less remote than it might seem. The memory of how strong a grip the disease once had on the United States has faded quickly, considering that an effective remedy for TB (the antibiotic streptomycin) was not developed until 1943. 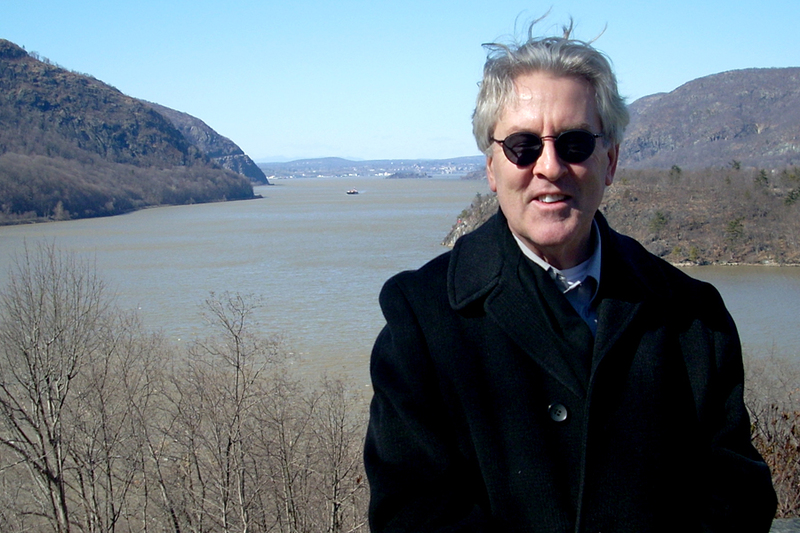 In the new film On the Lake: Life and Love in a Distant Place, G. Wayne Miller ’76 reopens this chapter in history and reminds Americans how recently tuberculosis was not just a disease of the developing world. Miller, a newspaper reporter at the Providence Journal who moonlighted as a novelist and writer of nonfiction books, wanted to try the medium of film but was casting about for the right topic. Years earlier, he had written a newspaper series and a book on teenagers growing up in Rhode Island; one of his subjects, David Bettencourt, grew up to be a documentary filmmaker, and the two had kept in touch. In 2006, Miller was working on another newspaper series, about the life of a man who lived at a hospital for psychiatric patients and the severely disabled, in northwest Rhode Island. While reporting that story, Miller was reminded of the hospital’s history as a tuberculosis sanatorium. When he started talking to Bettencourt about a collaboration, his original thought was to narrate the hospital’s history through the years—the different patients and maladies it had housed. But as they explored the photographs and records in the hospital archives, they quickly realized that narrowing their focus to tuberculosis, but broadening it to a national scope, would produce a better story. The film, focusing on three sanatoriums—in Burrillville, Rhode Island; Saranac Lake, New York; and Denver, Colorado—reminds us that life went on inside the hospital. Wallum Lake, the sanatorium in Rhode Island on which the film’s title is based, had a bowling alley, a barbershop, and its own newspaper. Patients made friends and fell in love. We are introduced to Janet Dudones, the daughter of a TB patient and a nurse who met at the Saranac Lake sanatorium, and Cecelia and Ray Dones, who met when they were both patients in Denver—where they still live: 48 years of marriage, four children, and nine grandchildren later. Miller and Bettencourt found many of the film’s subjects by creating a website where people could write in. The recentness of the American TB epidemic helped: people shared stories of parents’, siblings’, and even their own illness. Interviews with former patients give away some characters’ fates, but Miller weaves narrative tension by waiting until late in the film to reveal whether others—such as Barbara Bowie, the letter writer unsure of her sweetheart’s devotion—left the sanatorium alive. Screenings of On the Lake are being scheduled at venues nationwide and on some PBS affiliates. For more information, visit www.onthelakemovie.com or www.gwaynemiller.com. [extra:4148] View clips from "On the Lake."